How Santa Has This ‘Company Culture’ Thing Down Pat! You don’t have to believe in Santa and his Elves. You don’t even have to celebrate Christmas. It doesn’t matter, you’re probably very well versed in North Pole Enterprises LLP (NPE LLP) with headquarters in, well the North Pole of course. For most of us, “The Happiest Place on Earth” is Disneyland. I would tend to agree with that one. It never gets old. But many kids would argue that come December, “The Happiest Place on Earth” is the North Pole. It would seem that the image and brand of NPE LLP seems bullet proof. The SEC certainly hasn’t come knocking on their door. They certainly haven’t been faced with FCPA violations. 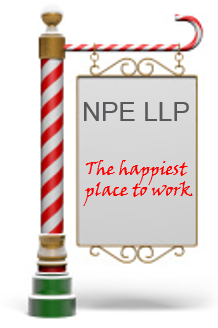 Popular holiday TV classics portray NPE LLP as a happy, jolly place, where elves gleefully craft toys all hours of the day and night, with not even a whisper of unhappiness. What’s so Important About Culture? It doesn’t matter how brilliant the management team is, if the culture is dark and fearful, bad things happen. If the culture is toxic, good ideas don’t emerge. If it isn’t a speak up culture, lessons won’t be learned and growth won’t happen. Culture is the nucleus of an organization. It’s a living, breathing thing that sometimes gets ignored. Fear of retaliation keeps people quiet when they should be jumping up and down, doing a little dance about what’s broken and how to fix it (insert shameless plug on ethics reporting system here). Smart management knows that in order to gain ideal performance from employees, those employees need to feel listened to, and not retaliated against. Employees are the experts in their functions, and having management take the time to listen to feedback is a great way to grow. Many managers have already put this practice into place and have engaged an ethics reporting system – it helps employees feel valued and helps drive a transparent culture. This just in – Merriam Webster names ‘culture’ the ‘it’ word for 2014. Read more here. Here’s how NPE LLP has done it right. Culture is also a recruiting tool. If you’re looking to hire talented people, doesn’t it make sense to fill your office with colourful toys, endless employee freedom, and all the cookies you can eat? Okay a bit much, but you get the picture. If you have an open working environment with transparency at the centre, you’ll attract talent. Employees (and elves) want to be heard. We brought you a fraud fact back in a November blog post, about how employee tips help prevent fraud. This is done via hotlines. Keeping the communication open, and transparent (and confidential when needed) is one building block in creating a great company culture. Engaging employees and welcoming their feedback – good, bad, ugly – is an absolute must if you want your organization to be on par with “The Happiest Place on Earth”. One step in building a successful culture is with the integration of a strong compliance program, including a whistleblower hotline. This is a powerful tool for any organization to implement as a proactive measure to ensure business success and grow a strong culture where employees can thrive. NPE LLP is doing it right and have implemented a hotline. You can’t tell me that there isn’t one elf who hasn’t felt the need to voice their concern over a wrongdoing (see Herbie in Rudolph the Red Nosed Reindeer… and if you haven’t just trust me). Even the happiest places on earth need the insurance of an ethics reporting system.